I can’t really remember when it happened. In fact, I’d forgotten about it completely until I was abruptly given a reminder. But it happened. And I admit it. I dared Dayton Ward to make Spock say the word “booger” in a Star Trek novel. More than dare, I told him I’d give him a shiny new dollar if he did it. Yesterday, I sent him a dollar. This is page 284 of Dayton Ward’s latest Star Trek novel, Elusive Salvation. I received my copy yesterday and, well, I am a man of my word. And that word, apparently, is booger. UPDATE: I’d completely forgotten that my original dare also said I’d make it two dollars if he had Spock say it. So I sent hm a second dollar. Right now I am listening to an iTunes playlist made up of every track in my music library that contains the word Spock in the title. It’s two and a half hours long. Granted there are some duplicates – Leonard Nimoy’s “Spock Thoughts” appears on three separate albums in my collection and I somehow have five versions of “Spock’s Arrival” from ST:TMP – but even so, that’s a lot of Spock. Not surprisingly, I created that playlist the day Leonard Nimoy died. After playing “More Soup” and “Spock (Dies)” in endless loops for a few hours, I wanted to expand my listening while continuing to honor Nimoy. And so the Spock list. It’s clearly a quick creation, since something truly meaningful, like “More Soup”, doesn’t appear at all. But it gave me what I needed at the time I needed it. The track that stands out as the most unlike the others is, somewhat ironically, titled “The Search for Spock.” Originally included as a separate bonus disc (a 12-inch single) with the Star Trek III soundtrack LP, “The Search for Spock” is a curious hybrid. Of course, it quickly found its way into heavy rotation on my cassette mix tapes, along with other tracks I categorized as ‘space disco’, e.g., “Something Kinda Funky” from Buck Rogers and “Death’s Other Dominion” (aka “Funko”) from the Space: 1999 soundtrack LP. As Captain Kirk once said, there’s no accounting for taste. After Leonard Nimoy died, I was asked to write a tribute for Shelf Unbound magazine. It was later included (along with another essay of mine) in the anthology Spockology, edited by Kevin C. Neece. Caveat: I haven’t read a lot of Star Trek fiction. Before 1988, I remember reading the novelizations of the first three movies. There were also a few original novels – definitely Spock Must Die, and Enterprise, and a couple of others. I’d have to look through a full list of Trek novels to jog my memory. I know I owned several, but I didn’t read every one I owned. Last year I saw the title of an upcoming book: The Autobiography of Captain James T. Kirk. It immediately grabbed my attention, made me smile at the possibilities. I noted the release date and thought one day I’d go ahead and order it. Maybe when it came out in paperback. Maybe. Then I pretty much forgot all about it. Until a couple of weeks ago when a friend mentioned to me on Twitter that he was enjoying the book. A few days later, quite by accident, I saw a tweet from the book’s author, David A. Goodman, noting that the Kindle version was on sale for 99 cents. I soon dove in and was immediately hooked. The Autobiography of Captain James T. Kirk reads like the memoir it purports to be while, of course, being complete fiction. It weaves in and out and around a lot of familiar stories while also adding new elements of its own. It’s a perfect hybrid of the biographies I love to read and the Star Trek universe I just plain love. 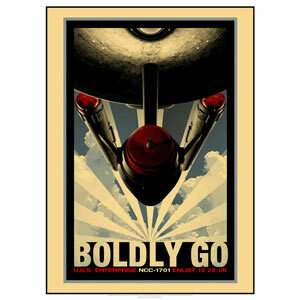 Author David A. Goodman does an excellent job putting Kirk’s voice on the page. It was easy to hear Shatner’s voice in my head as I read the text. I enjoyed the clever way he incorporated key characters and story elements from both the original series and the movies while also giving them his own spin. His take on the events chronicled in Star Trek V, for instance, is – shall we say – unique. The book is full of these meta observations. It also demonstrates a deep knowledge – and love – of the source material. Sure, another author might have added different moments as being the “most meaningful” or “memorable” to Kirk, but what we’re given seems right. Sure, we could have spent a lot more time learning about details behind other episodes, but knowing that we’re all quite familiar with what’s on screen, Goodman manages to jog our memories without overwhelming us with recaps. I had a wonderful time reading this book. It sucked me in and I found myself sneaking time to read more. It made me laugh, it made me rethink some of my favorite adventures (and appreciate some I’d long ago dismissed as subpar), and, in a couple of places, it very nearly had me choked up with pesky human emotion. But more than that, this book opened up a new world for me, a new desire – it made me want to explore more Star Trek fiction. I’ve got a couple of volumes on my shelf that I’ve been toting around for years, and I’m finally going to give them a chance. If they don’t capture my interest within the first few chapters, I’ll move on. Because if there’s one thing for certain, there are plenty of Star Trek novels to choose from. Funny what sticks with you. When I was 12 I cashed out a savings bond given to me by my grandfather. I used the proceeds to buy Star Trek books. I still don’t regret it. Whenever we’d go to the mall bookstores (remember when there were competing bookstores in a mall? Good times…) I’d hit the science fiction section and glance at the spines, always coveting the James Blish novelizations and admiring the photos inside the three primary non-fiction books always shelved nearby. The Making of Star Trek by Stephen E. Whitfield. The World of Star Trek by David Gerrold. The Trouble with Tribbles by David Gerrold. Armed with cash, I grabbed all three. These books transformed me. I read them multiple times, referred to them for details. Likely they are the exact reason that my favorite thing to read is non-fiction ABOUT my favorite TV shows rather than fictional stories et in those universes. Anyway, David Gerrold’s World of Star Trek immediately impressed me with both its depth of knowledge and its forthright tone. Gerrold pulls no punches, pointing out the series’ numerous flaws alongside its many charms. 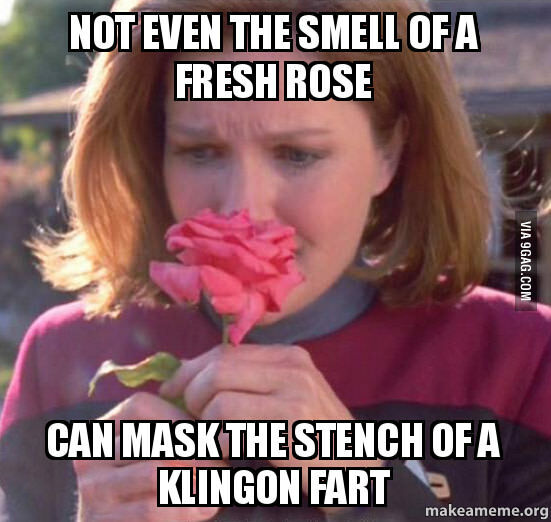 The phrase that stuck with me, because when I was 12 it was the single funniest sentence I’d ever read, came amidst Gerrold’s description of Star Trek villains: Klingons fart in airlocks. It’s perfect. It tells you everything you need to know about Klingons while also making you (or at least me) laugh. 5) All nerds must be able to sketch, from memory, the basic outlines of the Millennium Falcon, USS Enterprise (NCC-1701), and the TARDIS. Yes, I drew the TARDIS as my big project for a High School art class. Sadly embarrassing in retrospect. But then there was the embarrassment of doing something similar on NATIONAL TV. In 1988, I appeared on the game show Win, Lose or Draw. Midway through the game, it was my turn to draw and I was shown my phrase: Beam Me Up, Scotty. As a lifelong Star Trek nerd, it felt like some kind of strange providence. But in my nerdliness, I could not figure out how to parse up the phrase into chunks that the “celebrities” could then guess. So I started drawing what I thought was a passable Enterprise, hoping the celebrities would get the Trek reference and start throwing out catch phrases.